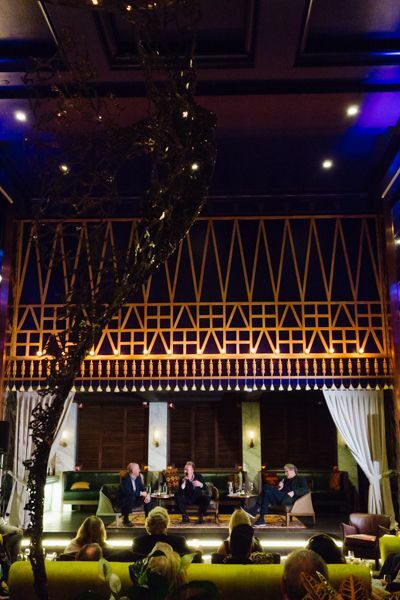 In keeping with the hotel’s recent makeover, Kempinski Hotel Bahia last week hosted the launch of a very interesting art exhibition with works by two big names from the music world, Brian Travers from UB40 and John Illsley of Dire Straits. The event started with an interview of the two rock legends by Giles Brown, where they revealed that from school age on they showed an aptitude for painting and both attended art schools, but this was pushed to one side when they discovered music, girls and smoking. Once they made it big and spent a great part of the time on tour, it was impossible to pursue the love of art, but now, with more time on their hands, they have returned to painting. The exhibition of only 20 pieces includes the artist proofs of album covers For the Many (UB40), which is dedicated to the Grenfell Tower survivors, and Beautiful You (John Illsley’s 2008 album), and is open to the public until 10 January 2019, or you can request a private showing via the hotel reception. The lobby of the Kempinski turned out to be the perfect setting for such an unlikely art duo. The exotic new décor oozing whimsical eastern promise was just the right backdrop for this surreal coming together of art and rock stars. I’m no art expert by far, but I loved the colour and diversity of Brian Travers’ works (my fav being Hindu Kush), and the more expected guitars painted by John Illsley, but give me rock stars, a few Strats and a decent glass of vino and you can’t go far wrong.